‘Just for likes, clicks and comments. 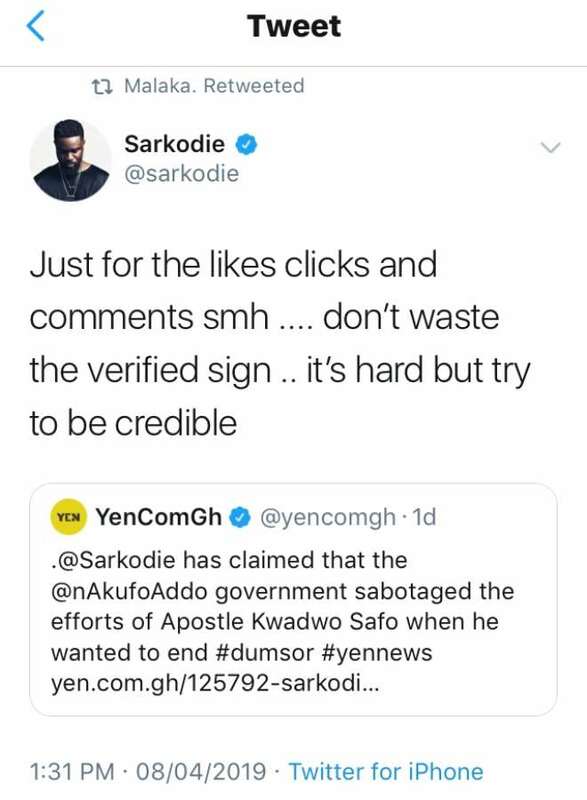 Don't waste the verified sign. 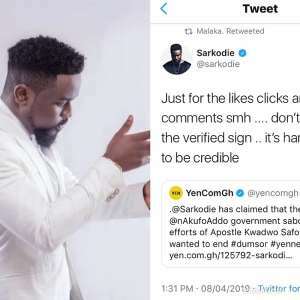 It's hard but try to be credible,’ Sarkodie to yen.com.gh. 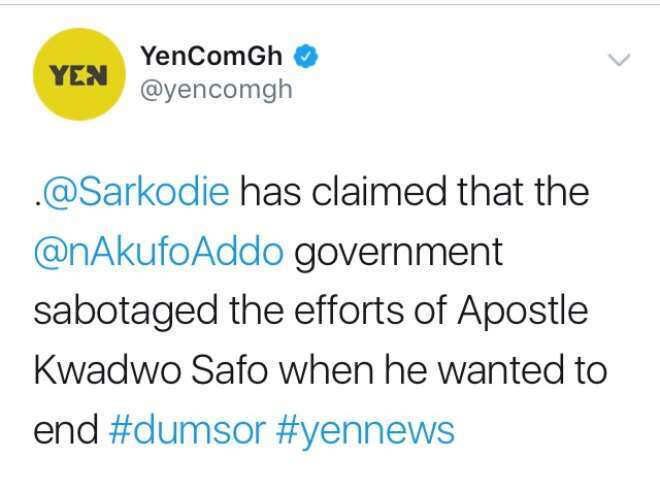 Apparently, Sarkodie pointed out in a lengthy Facebook post that he didn't know Apostle Safo Kantanka offered to solve dumsor. 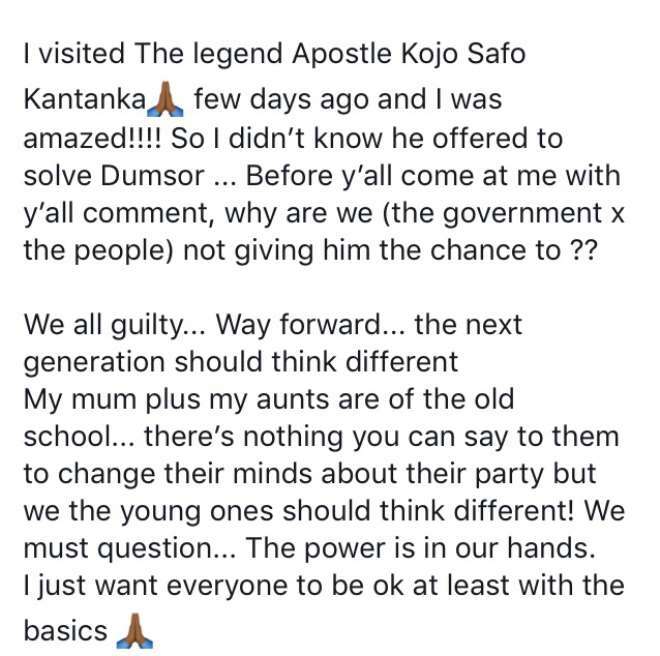 He then asked why we (the government and the people) are not giving Apostle Safo Kantanka the chance to do so.